Hi i'm trying to set up the multi-lan to race with my buddy. The issue is that everytime i open the mode i get hit with the "There is no avaliable network interface"
So i can't set up anything. I have downloaded Gigaherz dev9 driver, and selected pcap switch: realtek PCIe GBE family controller. But doesn't work at all. I want to use it with xlink, but from what i understand i need to set it up first before opening xlink. Did you patch your iso ? (02-11-2017, 10:37 PM)jesalvein Wrote: Did you install winpcap ? No? How do i do that? did you follow this ? Tried that. I get an error when it tries to get the DISK id. The DNAS servers went down last March so patching the ISO wont do anything. LAN play shouldn't need a patched ISO anyways. Have you run the network configuration DVD or used the in game network configuration? You need a network profile saved to the memory card. Also just so you know to use xlink I'm pretty sure you have to forward ports. I've used Hamachi to tunnel LAN games with PCSX2 before and it was much easier to set up. (02-12-2017, 05:45 AM)JonyeGway Wrote: The DNAS servers went down last March so patching the ISO wont do anything. LAN play shouldn't need a patched ISO anyways. Have you run the network configuration DVD or used the in game network configuration? 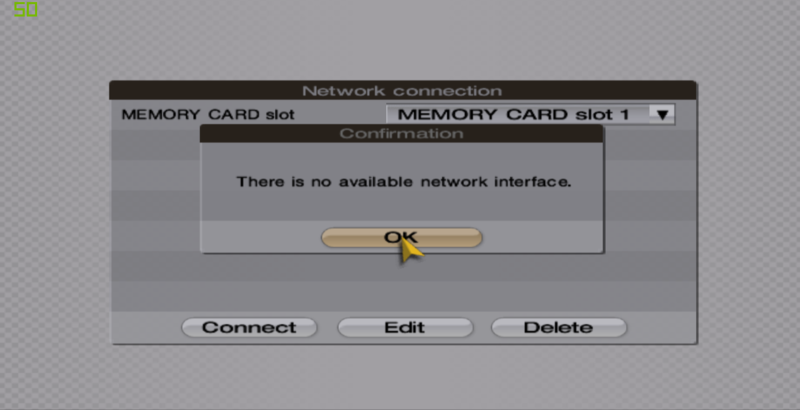 You need a network profile saved to the memory card. Also just so you know to use xlink I'm pretty sure you have to forward ports. I've used Hamachi to tunnel LAN games with PCSX2 before and it was much easier to set up. I tried, but it keeps saying i have no connection when i run the DVD. I seem to have fixed it. It was the winpcap that caused issues. Okay we got everything up and working, but it seems like there is a significant slowdown in the game speed when we are running multiplayer even with only 2 players. We have about a 50ms ping delay between us, all running the same bios and same framerate. We are using the Evolve client to connect each other. do you have both good specs to run this game @ 60 fps flawlessly ?